Stephanie Ford has been in the communications industry for 24 years serving customers and partners in the Southeastern US since 1993. Her career began as an account manager for national service providers (Bellsouth, ATT and then MCI) specializing in mobility and collaboration solutions for large nationals and global accounts. 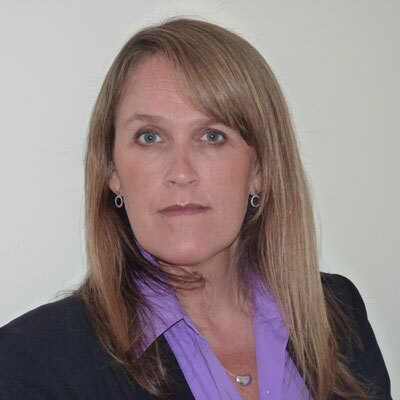 Stephanie transitioned into sales management roles at MCI in 2001, partner management in 2005, and then a region leadership role at Polycom before joining Mitel in 2011. Her background in collaborative and mobile solutions has proven great experience in a rapidly evolving industry where these applications have become business critical as the competitive climate changes and we see the movement to mobile applications, applications in the cloud, 5G and IoT. Stephanie has been driving sales for enterprise customers via the channel community in the Southeastern US for Mitel since 2011. Channel management is similar to managing important personal relationships, building on trust, respect and good communication skills allowing for longevity and success. Mitel has enjoyed significant growth during my tenure, and through that growth we are constantly introduced to new partners, and avenues to grow through our channel. Managing the needs of the partner and our customers through the customers experience is key, and shifting to a SaaS model takes resilience and willingness to change. I believe you have to always deliver value to the partnership, new ideas, innovative solutions, and be accountable - do what you say you are going to do. Leading by example in an industry that is shifting has been a focus for my team and me this past year. Rapid innovation is driving disruption in our industry, so we are working to ensure our partner community stays current to growth in the UCaaS market. Mitel continues to lead in innovation in UCaaS to help customers capitalize on these changes, bringing customers technological advantages to solve today's business challenges. Work is something we do, not where we go. Convergence of voice, video, conferencing and collaboration, messaging, persistence, messaging via streams, analytics, and work flow integration all to a single IP platform with non-traditional forms of social communication drive us to have different discussions and support our channel in different ways. For me, last year, it was around driving sales. My hard work paid off and I was honored to be named to Mitel's President's Club. I want to acknowledge the young women coming up into their own with conviction in their beliefs and bravery to make their voices heard - Sonita Alizadeh and Malala Yousafzai, and Florida high school student Emma Gonzalez. They inspire me. Stay the course, and don't sweat the small stuff. Also realize that you are not invincible! Life is long and many issues that you face at that age are a drop of water in a much larger body of water. Enjoy your experiences! I would like to be more involved in all the new applications emerging! As the mother of two iGENS, I got a lot out "IGen: Why Today's Super-Connected Kids Are Growing Up Less Rebellious, More Tolerant, Less Happy--and Completely Unprepared for Adulthood--and What That Means for the Rest of Us." It also provides good insight into that next generation of knowledge/smart workers that I will work with, and for, in the next decade.